That moment, when you get a huge box full of fabulous goodies from your favorite brand! As a beauty blogger, I couldn’t be happier! 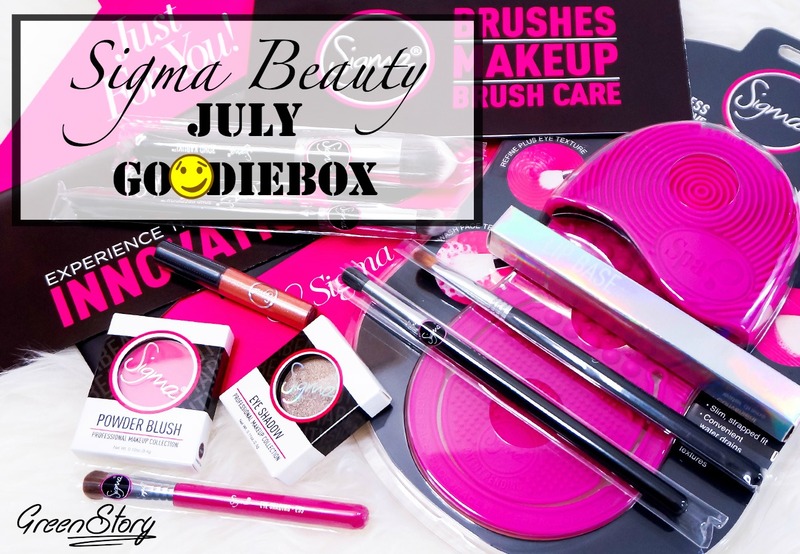 Sigma Beauty definitely made my month of July a special one with their care package. Apparently, I couldn’t resist sharing this haul with you guys. 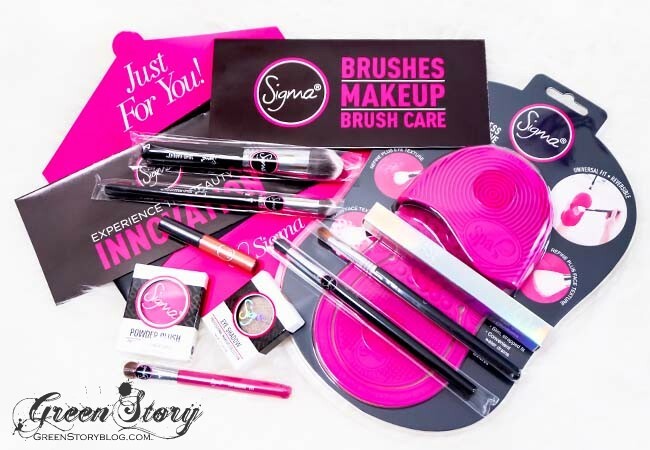 By the way, I’m pretty sure everyone whoever knows a bit about makeup they already know about the brand Sigma Beauty. 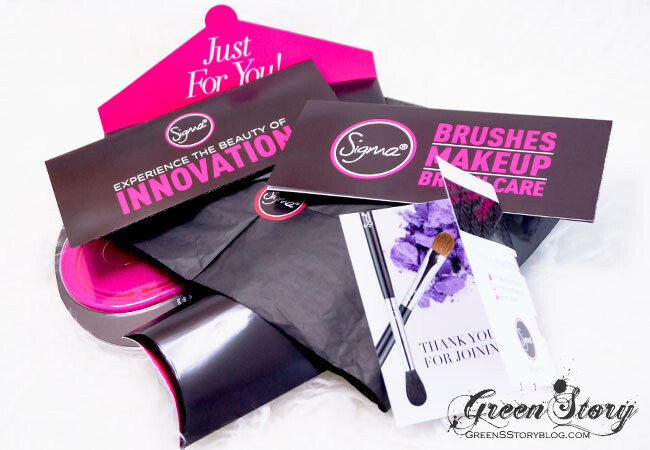 They are one heck of an innovative brand for makeup tools along with their makeup line. I’m not any new Sigma user but quite an old Sigma lover (mentioned earlier that it a favorite brand) and if you don’t know, there are uncountable Sigma (specially their brushes, so damn good!) lovers around the world. The goodie box was full of goodness and surprise! A little-handwritten letter (not showing that here, a letter is always personal, if you know what I mean😊), product catalog, care manual/guide, and of course with a bunch of product. I’m completely touched and can’t wait to experiment with each of these goodies! I won’t talk much today but will provide you some closer look at what I got and shopping info’s for your interest. Needless to say, I’ll be reviewing all of them one by one to let you know how they work, you’ll also see them in action in my future YouTube tutorials. Initially, a fat lip liner that can be used to line lip as well as can be worn alone as a lipstick. It is nicely pigmented and gives a semi-matte finish. Single blush by Sigma, beautifully pigmented and easily blendable. This eyeshadow is from Sigma single eyeshadow range. Fawn has an opaque metallic finish in it yet not chunky at all. 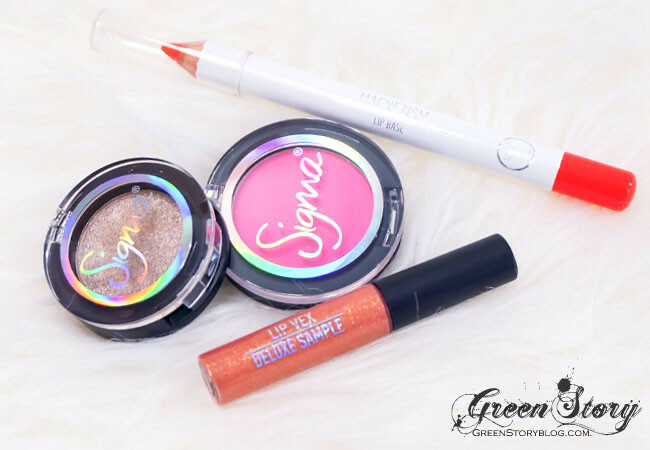 Lip Vex is a type of Sigma lip glosses. Particularly this shade has visible glittering particles in it. Creamy and non-sticky in texture. A uniquely shaped face brush that has angled top. This is made to perform in a multi-way. A smaller version of 3DHD Kabuki I’ll say. A great face brush for precise application eg. concealer, spot correction etc. An eyeshadow buffing and blending brush. It’s rounded and quite packed in shape that can offer a good blend. In my point of view, this brush can come handy to create depth on the crease. This is one of the most used brushes for eye makeup that you use to pack shadow on the lid. A fluffy shedder brush to grab and pack shadow on the eyelid. You can also use it to give your shadows a slight blend. 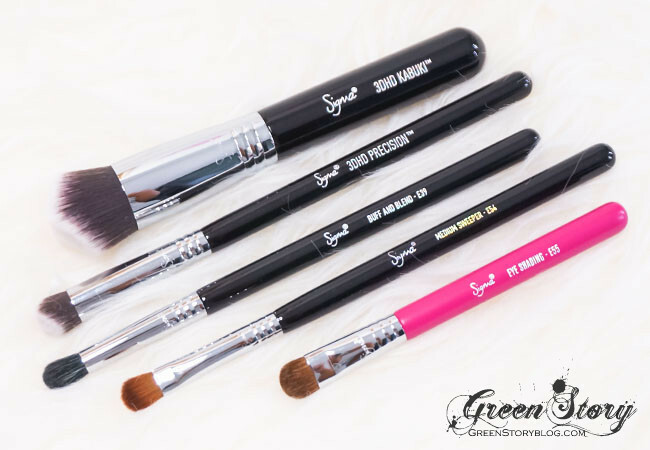 I have been using Sigma 3D HD Kabuki Brush since last year and l love it (visit here for my review and more details) ever since. It’s a multi-tasking face brush, might be a bit tricky to use at the beginning but you’ll love it once you get used to it. And to complete my 3DHD collection now I have the little 3DHD precision brush! Already been using it for my concealer and I swear I love it more. A soft rubbery/silicon made, thumb-sized brush cleaning matte with varieties of texture to give face or eye brushes a good and fast cleaning help. Reusable, washable and travel-friendly. Honestly, I literally jumped out of joy when I saw Spa Express Brush Cleaning Glove in my goodie box. Ask me, why? Well, among all Sigma brush cleaning gadget only this ‘Express’ one was on my wish list. I think this is the perfect, handy and compact shape of all. That’s it for today. Any question you have in your mind or you want to know something specific do not hesitate to ask me in the comment box below. 🚩You can shop directly from Sigma Beauty website from anywhere in the world and their international shipping is free from $150 spent. 1st time heard about this brand, but the design really attractive! Looks like a whole load of amazing stuff. . Lucky girl!!!! Enjoy!!!! Oh my! i definitely need to get my hand on these! Do they do shipping to Malaysia? yes dear, they do ship in Malaysia. I live in Malaysia btw 😉 and the shipping is free for order above $150 or more! I like their packaging a lot! Look so beautiful. And of course the brush. Hope to have a try on it too. I love makeup! Sigma is one of the affordable yet good quality ones! My eye on your spa express brush! lol That beauty box look luxurious. ha ha I feel you. In face I’ve been loving that most ever since I got it. It makes my brush cleaning effortless. A new online website to purchase product. Thank you for sharing. Sigma brushes are one of my favourite.. they are really durable and comfortable to use.. been with me for 7 years and still in good condition! yes I read lots of good reviews about sigma so far! WOW! That’s ALOT Of items!! I would Jump for joy too!! I’ve yet to master the art of using brushes for make up though! Haha! That’s a lot of stuffs in a beauty box! Lucky you! nice sigma beauty haul, I am still learning to use the makeup brushes. hehe.. its fun makeup, we can never get enough of it. I also part of their affiliates program and I really love the blush!